Where is camping Oyam located? How to come to the campsite? What kind of services are provided on site? 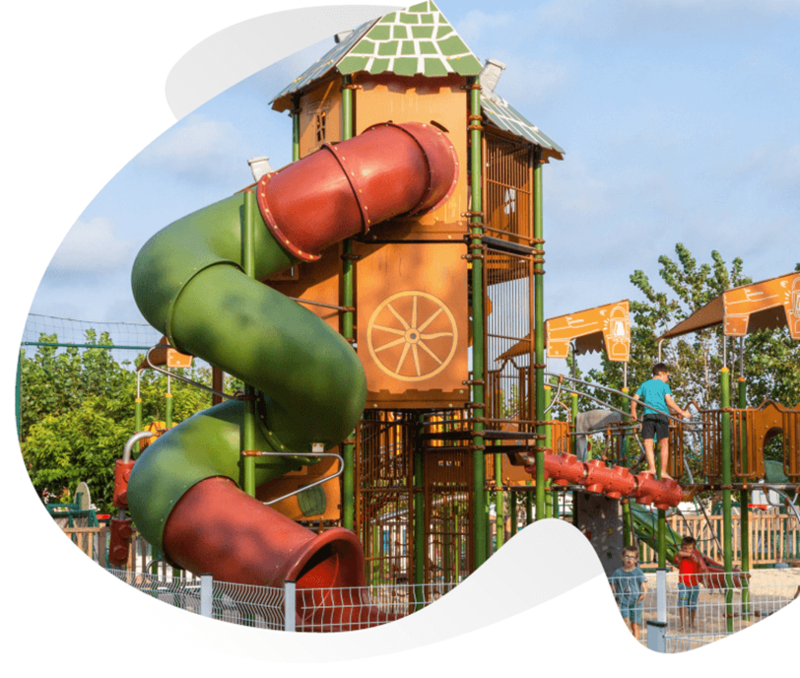 On site, you will enjoy the heated aquatic parc with slides and water fall, the Oyam Café, the multi-sports playing field, the bowling ground, the table tennis tables and a laundrette. Is there a grocery on site? A small supermarket on the village square, 800 meters from Oyam, welcomes shoppers from 9.00 AM to 7.30 PM, 7/7 during the summer months. The office is open from Monday to Sunday from January to September. The schedules depends on the period of the year. Pets are admitted, except dangerous attack and certain guard dogs (categories 1 and 2 under French law) in all La Résidence and Campsite accommodation. However, pets allowed must have been vaccinated, tattooed or identified with implanted microchips, and must be kept on a leash at all times. It is stricly forbidden to leave animals alone even if they are locked up or left inside your lodging. Never leave an animal in a closed vehicle. You can book online by clicking on “BOOKING” on the web page. You will need your credit card for the down payment. By phone at 0033 559 549 161 the down payment will require a credit card. When do I pay my final payment for my holiday? The total amount is due 30 days before your arrival. If you made your reservation online, you can pay the balance on our website with your internet file number (example: O20130109oya822488403). Otherwise, you are welcome to give us your credit card number over the phone, or make a bank transfer..
Is there a deposit to give? Can I book for only one night? We make reservations from 2 nights. During the high season, the minimum is 7 nights. Credit cards (except for American Express), cash and bank account transfer. A €2,00 (€3,00 for the residence) per day fee must be paid in full when booking. This sum is in addition to the deposit and covers all persons mentioned on the booking form. Please, check details on the rentals and conditions.. The accommodation is available from 5:00 pm. On July and August, the reception is open til 8:00 pm. If you arrive when the office is closed, we would appreciate your contacting us by phone at 0033 559 549 161 ahead of time. We will give you the details of where to find the keys and the accommodation..
Until what time can we stay in the accommodation? You can stay until 10:00 am the day of you departure. We advice you to contact us if you want to leave when the office is closed. All our accommodation are equipped with pillows and blankets. You must bring your own sheets or book them with supplement (set of sheets: 10€ / bed). Can we hire baby kit? You can book baby kit with crib, highchair and baby bath for just €4 per night or separately at €1,50 per night per piece. Is there an internet access?